The following steps require at least ~25 GB of free disk space: ~5 GB for the ZIP file, ~5 GB for the unzipped ZIP file contents, and ~15 GB for the installed Virtual Machine (VM). Once you have installed the VM you can free up ~10 GB of space by deleting the ZIP + the unzipped ZIP file contents. 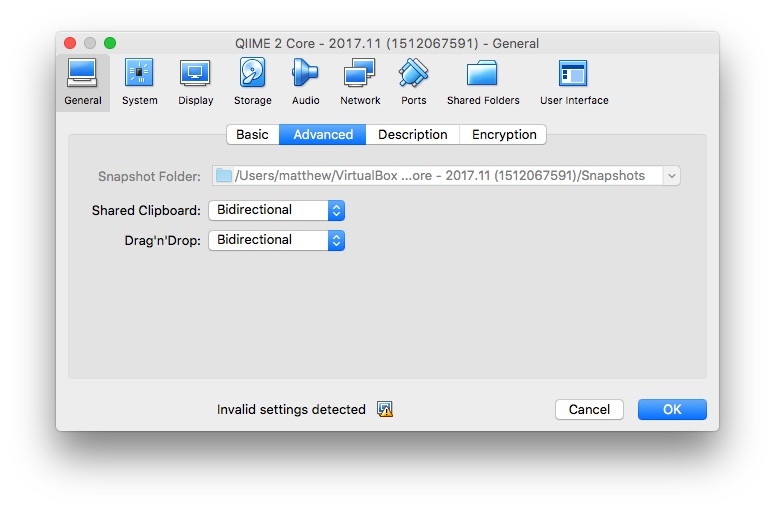 The QIIME 2 VirtualBox image offers a convenient way to get QIIME 2 up and running, and is also the easiest way to get your hands on the experimental preview of QIIME 2 Studio. Please see https://www.virtualbox.org for details on how to install VirtualBox on your computer. 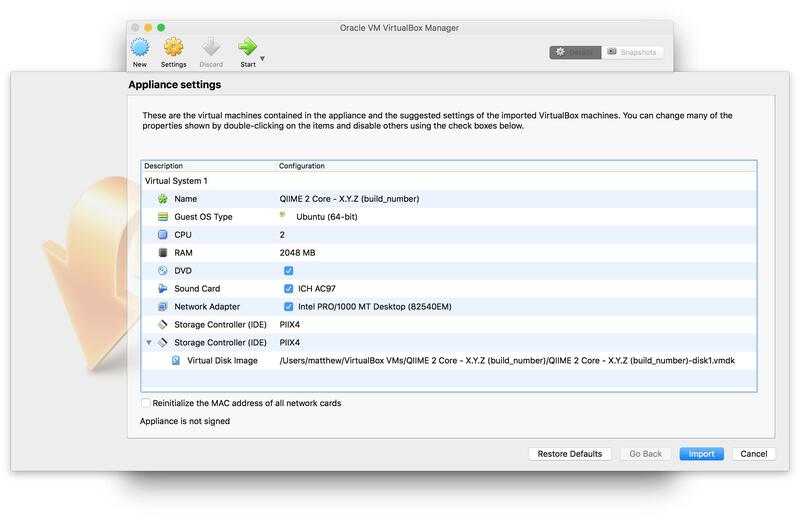 Please note, some computers require activating a BIOS setting to enable virtualization — please consult your hardware documentation to determine if you need to do this, and how. After installing VirtualBox, take note of the version of VirtualBox that was installed. Please note, this installation document uses some placeholders throughout the following steps. 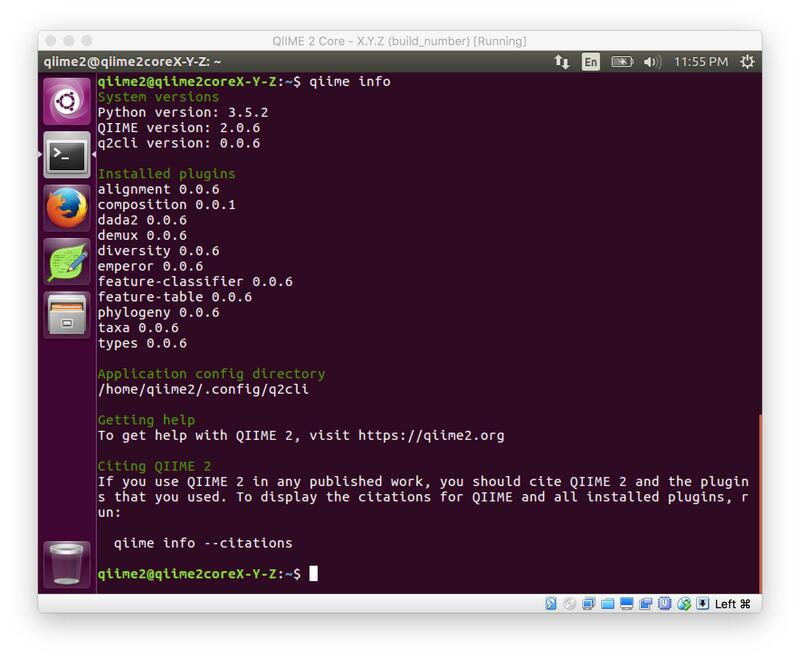 X.Y.Z represents the version of QIIME 2 (e.g. 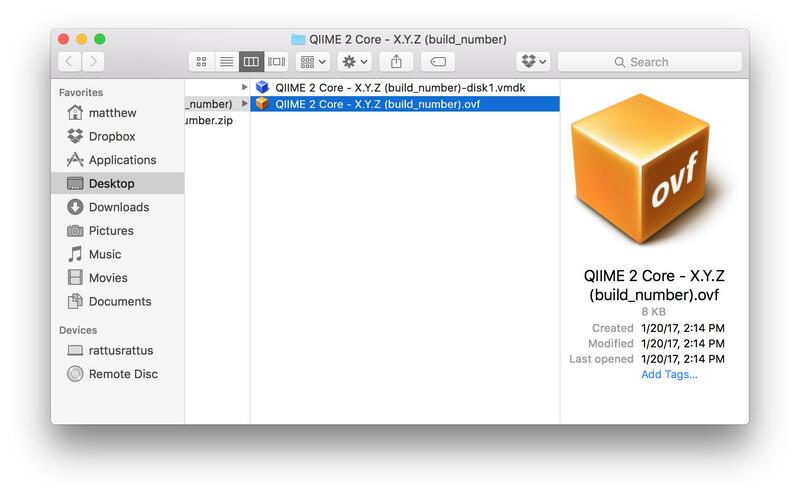 2019.1), and build_number represents the build identifier for the VirtualBox image (an internal reference used by the QIIME 2 Developement Team). Please see the VirtualBox Images download link to get the download URL for the latest image. 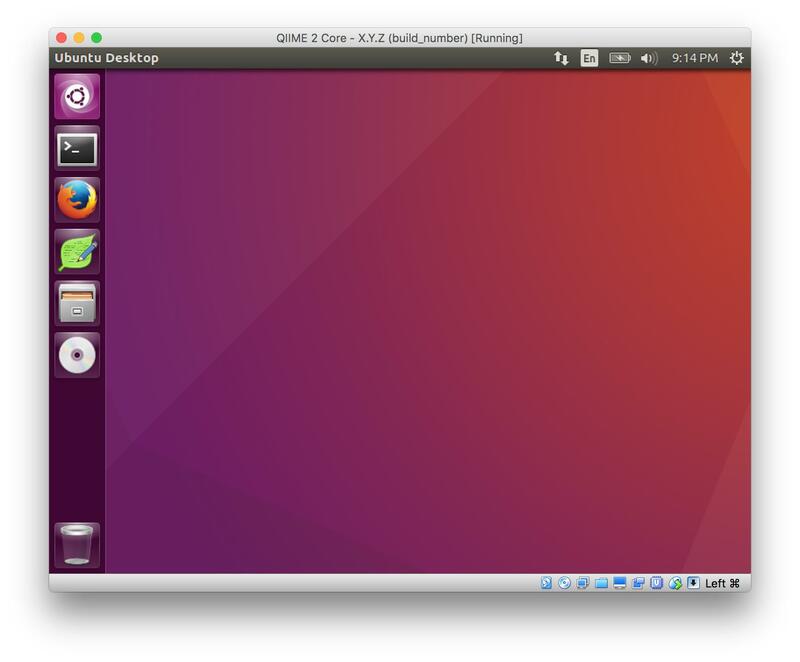 The minimum version of VirtualBox (as determined in Step 1 above) is provided for the latest releases of the VirtualBox image — please ensure you have installed a version of VirtualBox that is equal to or greater than the version of the QIIME 2 VirtualBox image you wish to install. Unzip/extract the qiimeX_Y_Z-build_number.zip file and open the directory that you chose to unzip to. Please note, some operating systems (e.g. Windows) open a read-only view of the ZIP file, which has not actually been extracted. Please follow the directions for your operating system/unarchiver tool as necessary. 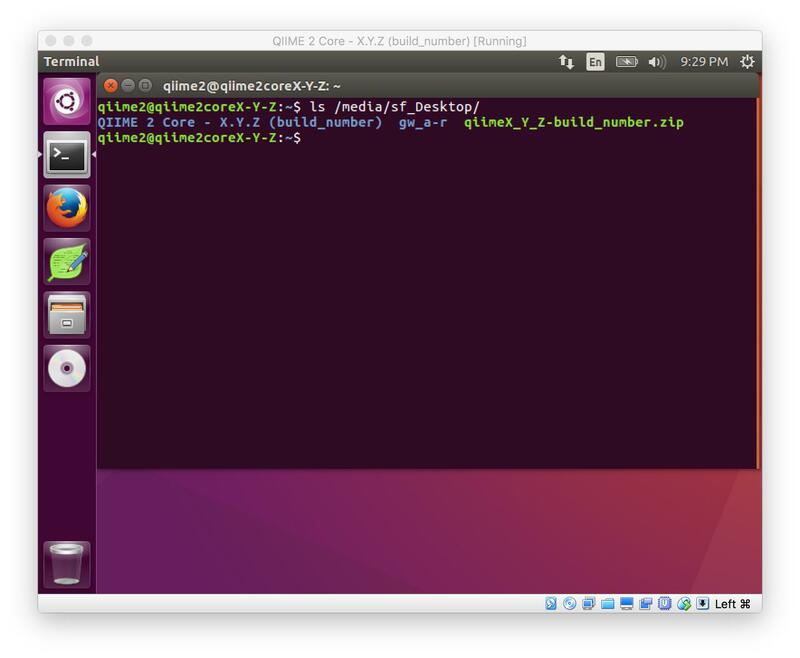 Double-click the file named QIIME 2 Core - X.Y.Z (build_number).ovf. 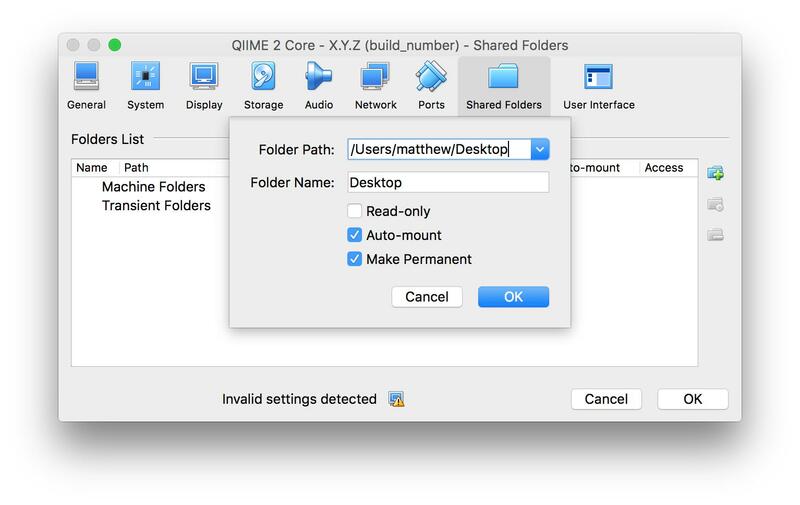 The file ending with the extension ovf is a type of VirtualBox “recipe” — it allows the QIIME 2 developers to define a set of reasonable default configuration values, rather than requiring you to manually specify RAM, CPU count, etc. 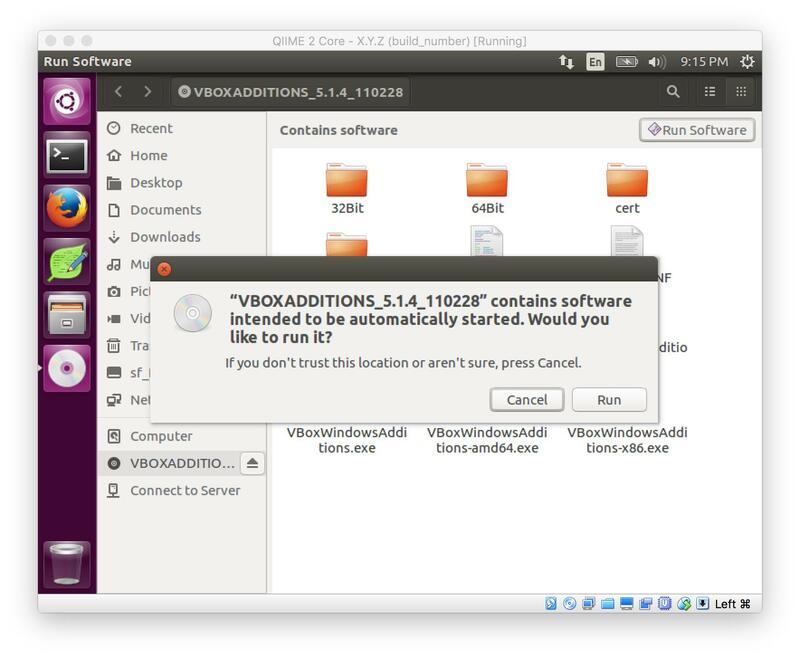 The file ending with the extension vmdk is the actual virtual machine disk image. 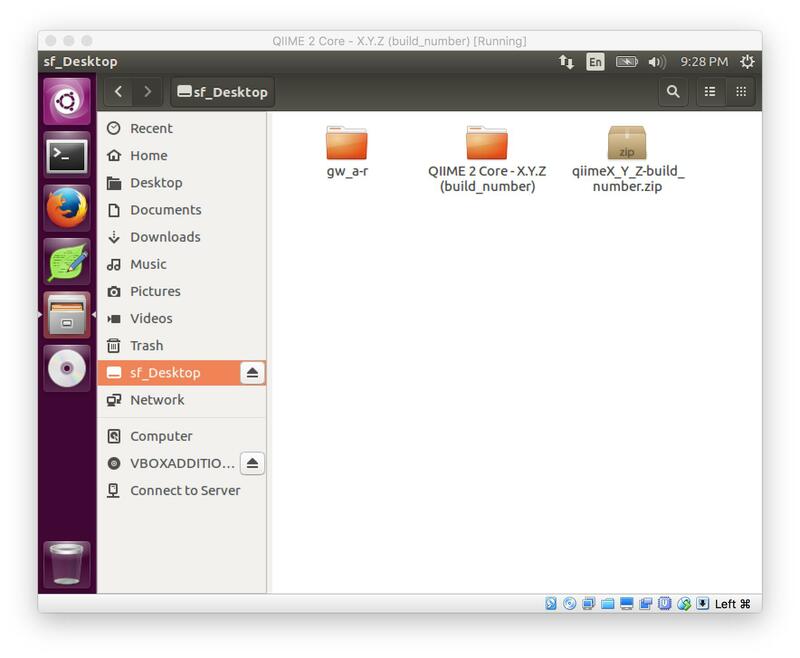 If you don’t want to import using the defaults specified in the ovf you can use the vmdk file to manually import the VM — see the VirtualBox Docs for details. You will be presented with an Appliance Settings import page. We have selected default settings for you that should work for most light workloads. If you are interested in changing the allocations (e.g. memory or CPUs), feel free to adjust these settings. When done, click Import. Once the import is complete, double-click on the new Virtual Machine entry that matches the X.Y.Z & build_number version that you just imported. 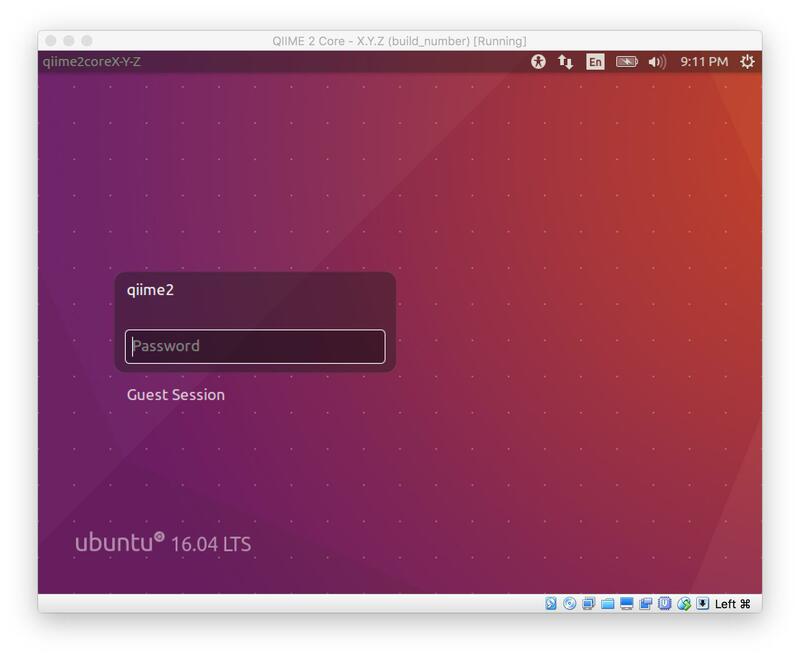 When prompted, select the user qiime2, and enter the password qiime2. Note, the list of installed plugins (and their versions) will likely differ depending on the version of the VirtualBox virtual machine that you chose to download and install. The import process creates a copy of the files from the directory that you unzipped in step 3 above. 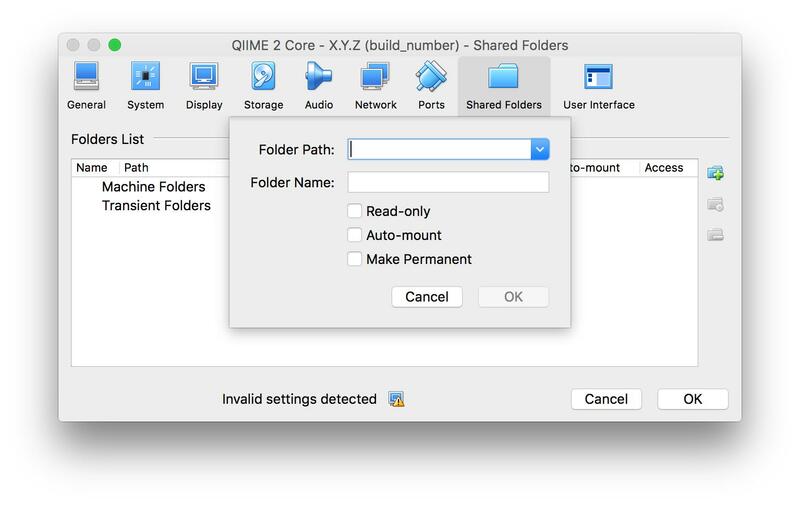 If you would like to reclaim that disk space, feel free to delete qiimeX_Y_Z-build_number.zip, and the unzipped folder from that file. Optional: Guest Additions are already installed in the virtual machine, but if you need to reinstall (or update) them, you can perform the following steps. Attach the Guest Additions DVD by following the instructions outlined in the VirtualBox Guest Additions Docs. 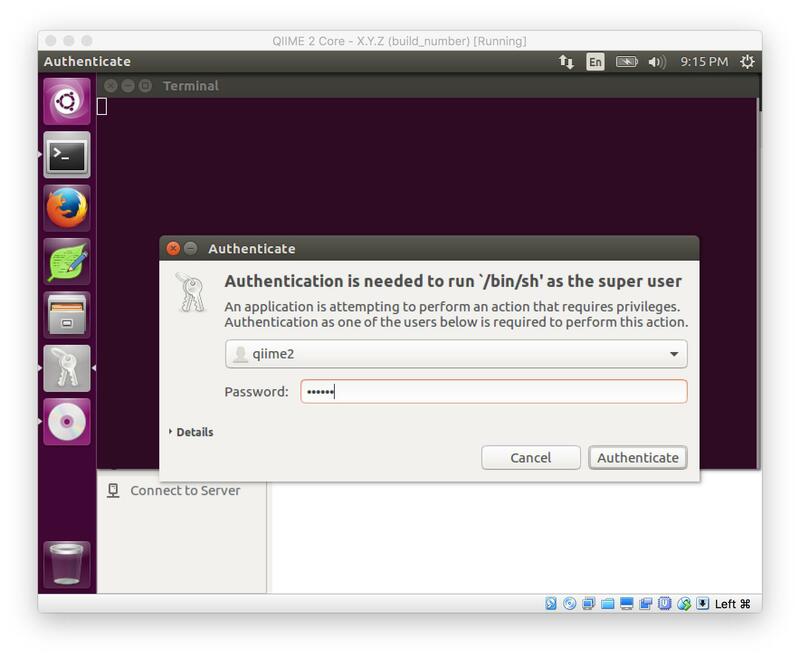 Enter the password (qiime2) when prompted. When installation is done, your screen should look like the following. Follow the prompt and press Return. 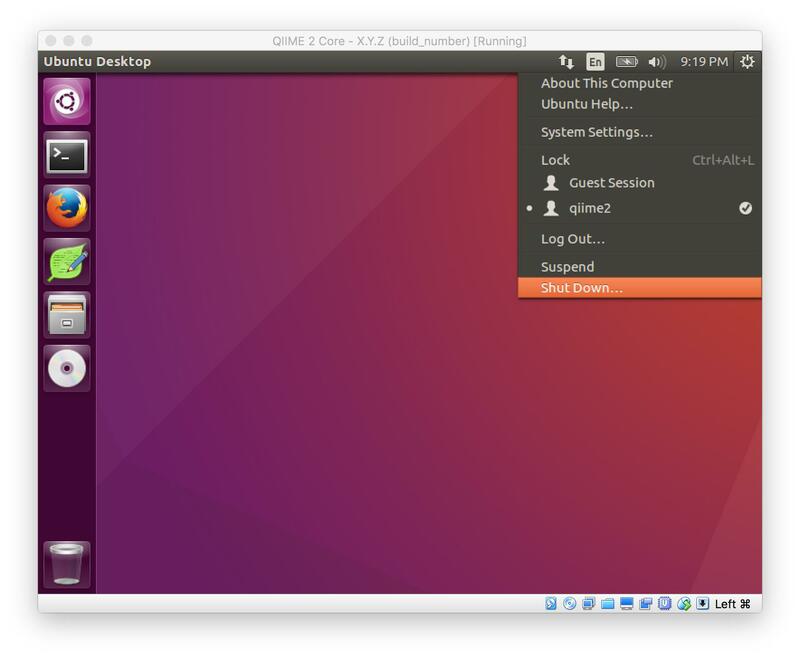 In the VirtualBox menu bar on your host computer, select Machine -> Settings, then click General in the top bar, and Advanced in the bar immediately below it. We recommend setting Shared Clipboard and Drag'n'Drop to Bidirectional, which will allow copy-and-paste from host-to-guest and from guest-to-host. 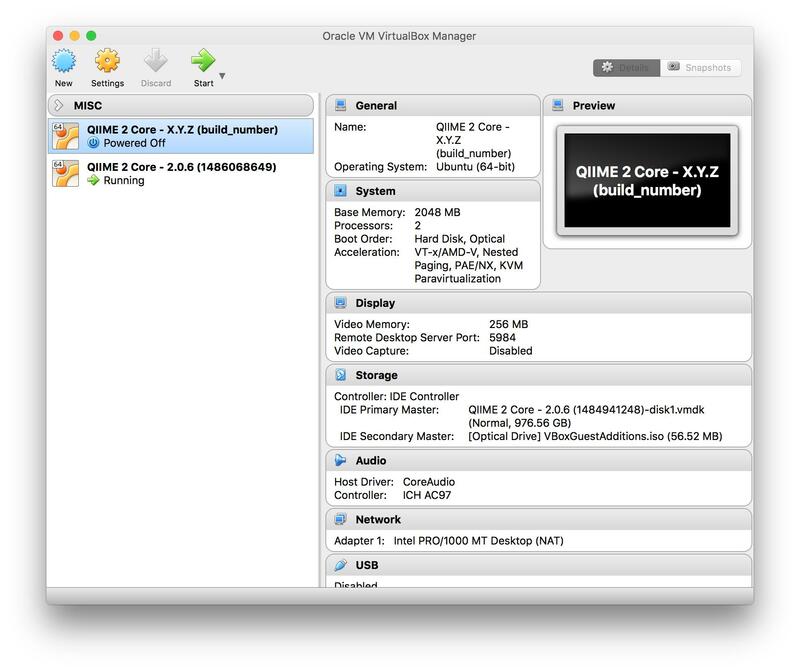 The Drag'n'Drop allows you to drag folders into the window to copy them into your Virtual Machine. Click OK when you are done. Click on the Folder Path input, and using the file browser (by selecting the option Other...), select the folder you want to share with the VM. This example uses the Desktop (e.g. /Users/matthew/Desktop on a Mac). 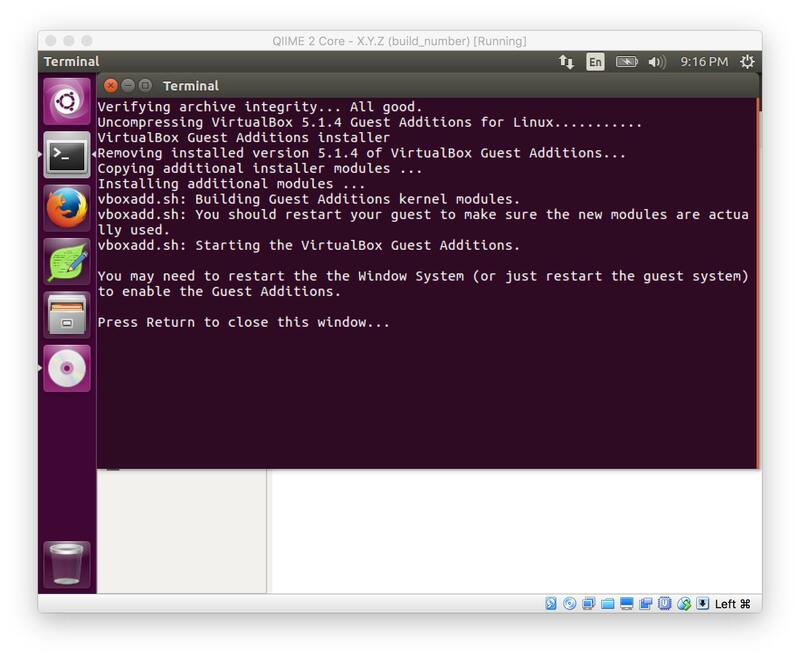 Make sure to select Auto-mount and Make Permanent, if you don’t want to repeat these steps every time you launch the VM. Also note, the Folder Name option (which VirtualBox will auto-suggest a value for) is the name of the mounted folder inside of your VM. VirtualBox will always prepend the prefix sf_ to that value (sf stands for shared folder). So in this case, the folder name will be sf_Desktop. The full path when mounted is /media/sf_Desktop. Click ‘OK’ on both dialogs to save your changes. Click the gear in the upper right of the screen, then Shut Down..., then Restart. 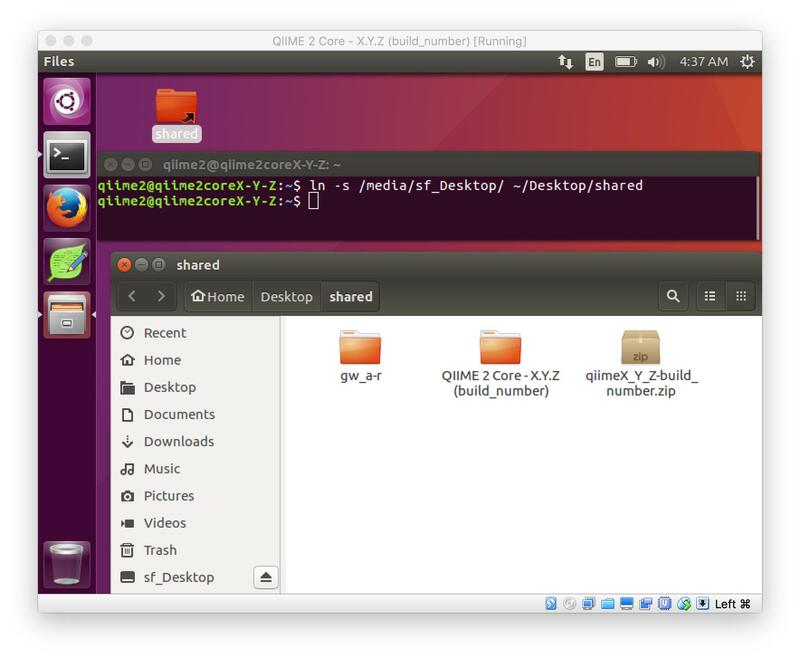 Where sf_Desktop is the name of the shared directory from step 2 above, and ~/Desktop/shared is a location of your choosing.